London, April 21st 2018: Her Majesty The Queen today announced drug development consultancy, Artemida Pharma, as a recipient of the Queen's Award for Enterprise in the International Trade category. The Queen’s Awards for Enterprise are the UK’s most prestigious business awards, recognising and celebrating business excellence across Great Britain and Northern Ireland. To be considered for the accolade, businesses must have demonstrated outstanding results in their field. Winners are proposed by the Prime Minister and have a proven international track record in trade and are thought to inspire British businesses beyond their own industry. Founded 4 years ago today, Artemida Pharma is a specialist consultancy established by drug development experts to provide strategic drug development consultancy and project management to start-up, biopharma and mid-sized pharma companies. Since the company’s inception, they have provided end-to-end services, encompassing strategic clinical, regulatory and commercial expertise, along with a focus on technical pharmaceutical development of small molecules and biological agents. The Queen’s Awards for Enterprise are awarded to businesses for outstanding achievement in four categories International Trade, Innovation, Sustainable Development and also for Promoting Opportunity (through social mobility). Former winners in Artemida Pharma’s category of the prestigious award include: AXA PPP, JCB and Airbus. The Queen's Award is valid for five years. Artemida Pharma is a well-established consultancy providing all aspects of drug development and specialises in a number of areas, especially oncology (including immune-oncology), autoimmune/anti-inflammatory disease, anti-infectives, cardiovascular (hypertension, stroke, heart failure, vascular occlusion). We offer optimised strategic drug development from product concept to clinical proof of concept. Artemida Pharma have supported companies ranging from a large multinational peri-approval programme to micro-start-ups from academia, located from Asia through to North America. Artemida Pharma’s principal office is located in the heart of one of the UK’s leading biopharmaceutical scientific communities, the Stevenage Bioscience Catalyst. The Queen's Award to Industry, the scheme's original title, was instituted by Royal Warrant in 1965. It became the Queen's Awards for Export and Technology in 1975, with Environmental Achievement added in 1992. 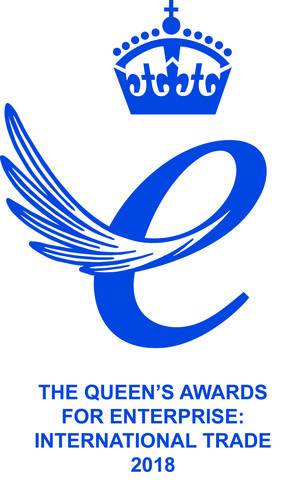 In 1999, the scheme became the Queen's Awards for Enterprise with International Trade, Innovation and Sustainable Development as the categories. In 2017, a fourth category was introduced, Promoting Opportunity (through social mobility). This press release was distributed by ResponseSource Press Release Wire on behalf of Artemida Pharma in the following categories: Business & Finance, Medical & Pharmaceutical, Public Sector, Third Sector & Legal, for more information visit https://pressreleasewire.responsesource.com/about.